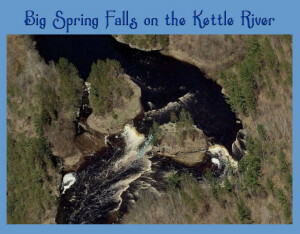 Below Sandstone Minnesota, on the Kettle River, adventure seekers, children, and nature photographers will discover a river wide waterfalls and dells. 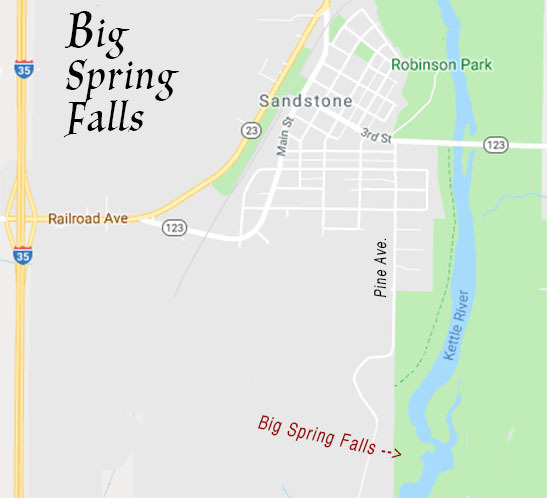 Known to the locals as Big Spring Falls, this river feature on the Kettle River was hidden until a dam was removed in 1995. 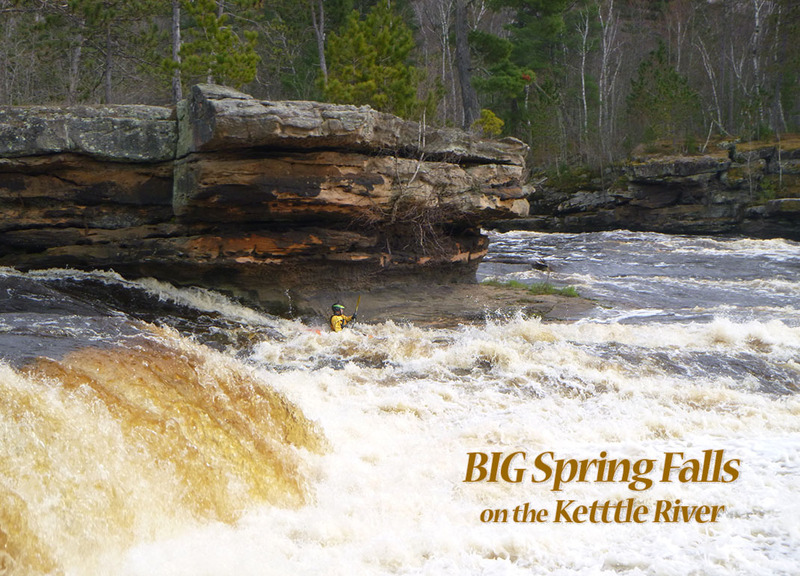 Big Spring Falls on the Kettle River is one of Minnesota’s most scenic waterfalls. 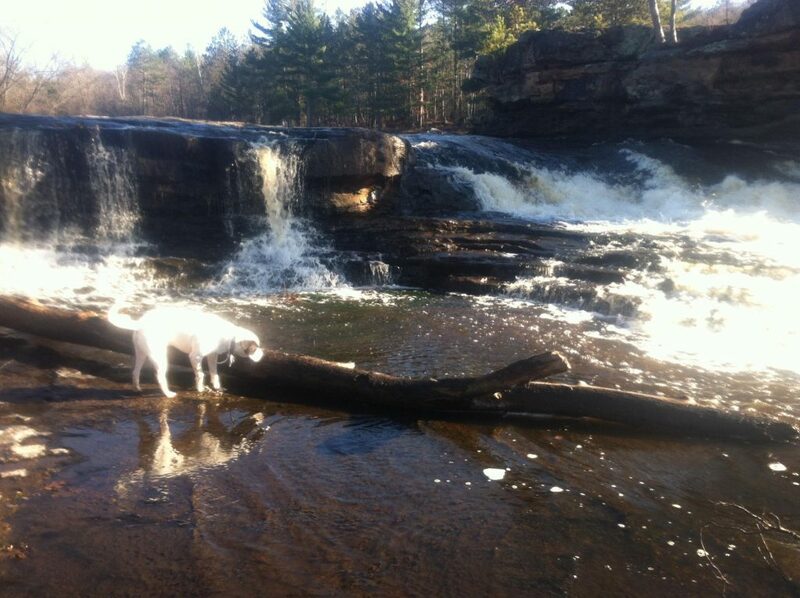 Just outside of Sandstone Minnesota, a visit to the falls is the perfect adventure any season of the year. Located just outside of Sandstone, MN – Sandstone is an hour north of the Minneapolis – St Paul Metro, half way between the Twin Cities and Duluth. Follow highway #123 through town(3rd street), turn right on Pine Avenue (just before you cross the Kettle River. Continue on Pine Ave 1 1/2 miles to small parking lot. Hike 200 yards to the Kettle River. Another option is to canoe from Robinson Park in Sandstone, MN. 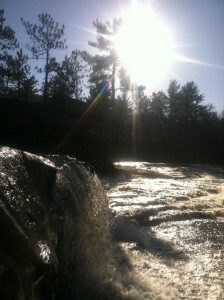 This 2 mile, flat water section of the Kettle River is an easy paddle with the portage around the falls clearly marked. At medium to low flows on the Kettle River it is easy to paddle down river from Robinson Park to the falls then paddle back to Robinson Park. You can also arrange a shuttle and paddle down river to the Highway #48 bridge just east of the town of Hinckley, MN. contact local outfitters, Hard Water Sports for Kettle River rafting and canoe rental. It’s a beautiful hike from Robinson Park in Sandstone to the Falls. Park in Robinson Park and follow the trail down river. Continue on the trail for 1.5 miles or so, you’ll meet up with Pine Avenue for the last 200 yards to the parking area. 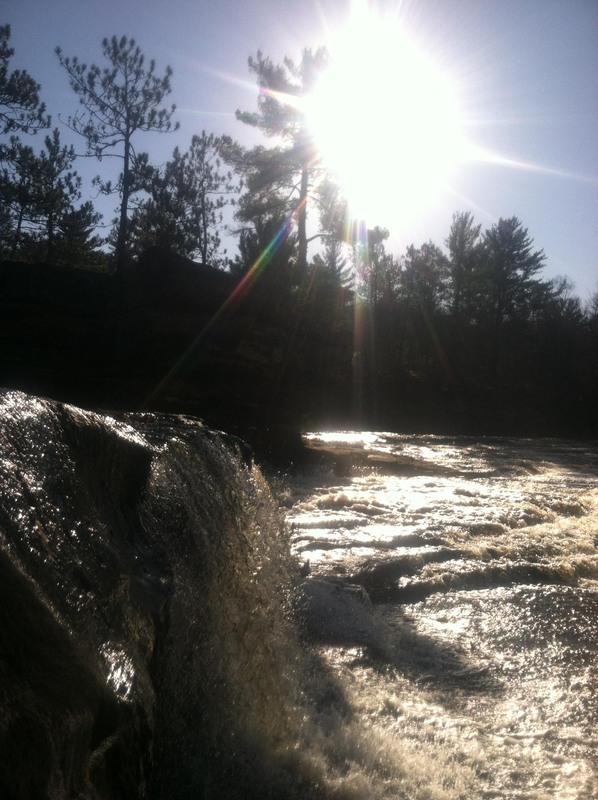 Follow the marked trail to the Kettle River and one of Minnesota’s most beautiful waterfalls – enjoy. Need more ? check out Wolf Creek Falls in Banning State Park. © 2019 Sandstone Minnesota. All rights reserved.